ST. GEORGE — An exhibit featuring some of the first photographs of Native Americans in Southern Utah will open in Mt. Carmel Thursday. The collection of 116 rare photos taken from 1872-1875 will be on display at the historic Maynard Dixon Home, 2200 South State Street, 10 a.m. to 5 p.m. daily March 15-Nov. 15. 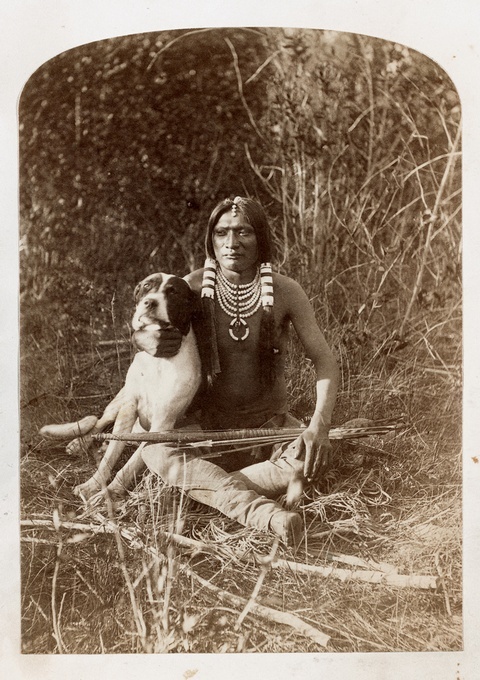 The “Utah Tribes Exhibit” is a production of the Thunderbird Foundation for the Arts and features photography depicting Native American life in Utah, Arizona and Colorado by John “Jack” Hillers, who was a member of John Wesley Powell’s 19th century expedition through the region. Hillers joined the expedition as an assistant to the expedition’s official photographer, E.O. Beaman, helping move and set up photography equipment that weighed roughly 1,000 pounds, including a large camera, portable dark room, tripods and fragile glass plates used to make photo negatives. Beaman’s historic photos were the first ever taken of the Green and upper Colorado Rivers. Beaman left the expedition after the party wintered in Kanab, and Hillers was put in charge of photography for the remainder of the expedition. The photos produced during the expedition helped Powell obtain funding from Congress for more trips to the American Southwest, resulting in the first mapping expeditions of the Kanab and Grand Canyon regions. Hillers went on to work for the U.S. Geological Survey for 30 years as a photographer. He was especially interested in portraits of Native Americans and worked for the Department of Ethnography under Powell’s direction to document indigenous people, including the Kaibab Paiutes. 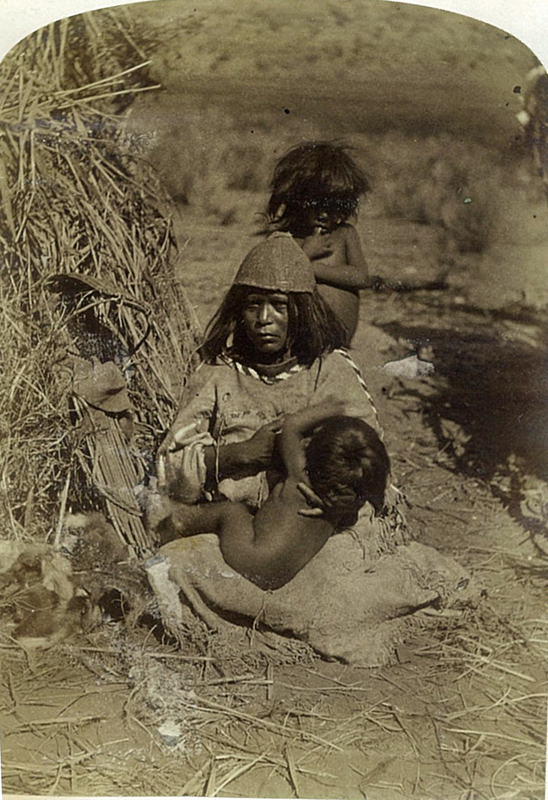 The Kaibab Paiutes, which exist today as a band of the larger Southern Paiute Nation, inhabited the region of the Utah-Arizona border near Kanab. Archaeological evidence indicates they first came to the area in 1250 A.D.
Hillers’ relationship with the tribe was fostered in 1872 by Powell and Southern Utah Mormon leader Jacob Hamblin, which opened access to Hillers’ cameras, resulting in many of the photos featured in the Utah Tribes Exhibit. “We bought the collection in 1999, for the purpose of reselling the images one at a time,” Paul Bingham, CEO and cofounder of Thunderbird Foundation for the Arts, said in a news release. When: March 15-Nov. 15, 10 a.m. to 5 p.m. daily. Where: Historic Maynard Dixon Home, 2200 South State Street, Mount Carmel, Utah. Details: Tickets are $5 per person available online. Groups of 20 or more by appointment. Awesome find. I plan to stop by next time out there…. but recently visited the Kanab Balloon festival and drove by his home up the 89. Saw 4 bald eagles resting by a pond a few miles north of his place. Maynard Dixon is one of my favorite artists, I love the way he captured the sandstone cliffs against majestic clouded skies.